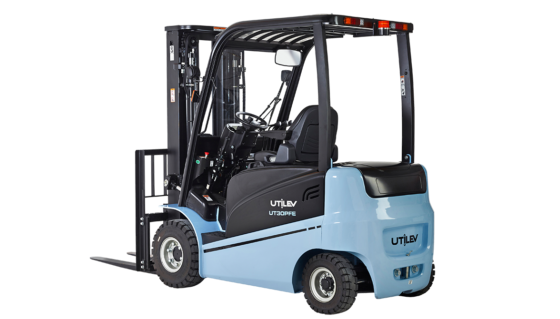 UTILEV® 4-wheel electric forklift trucks feature 48V AC technology with twin brushless 4.6kW or 11kW drive motors on the front axle and an 8.6kW hoist motor, or 80V AC technology with 15kW drive motors and a 10kW hoist motor, delivering excellent performance, as well as low noise levels. 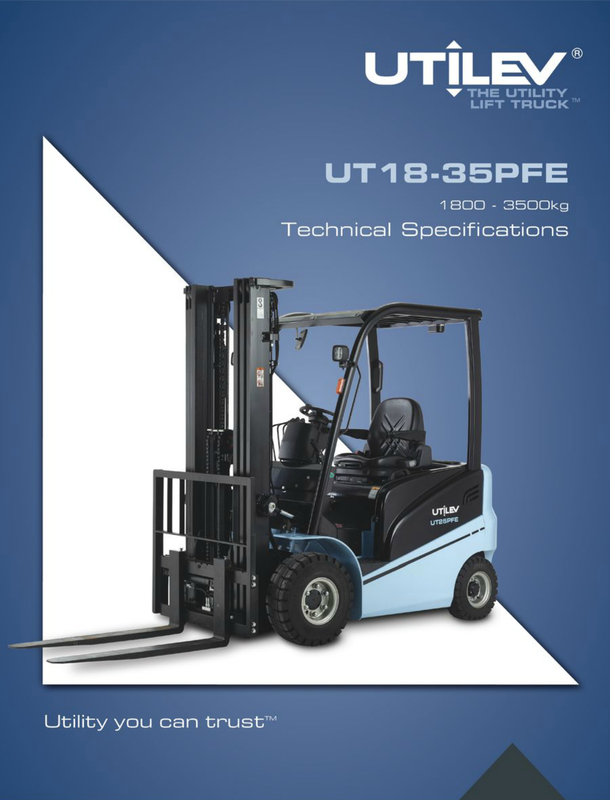 Curtis AC Controllers optimise battery power, particularly helpful on ramps and long runs as well as high lifts. 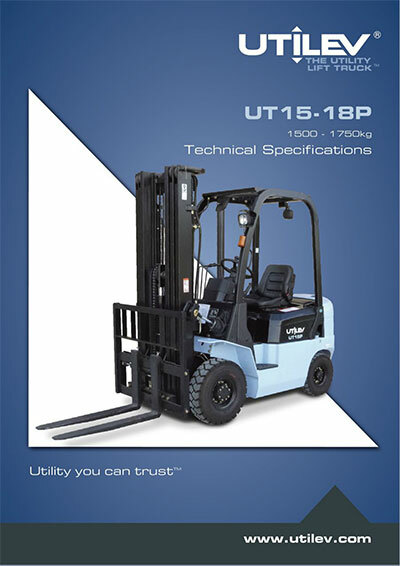 The truck is available with fully accessible 48V or 80V Batteries with 500-750Ah capacity. The 1.8t model has a 180amp connector and the 2.0-3.5t versions have a 320 amp connector. The automotive-style controls ensure ease of operation. The dash display includes performance parameter and fault code information, hour meter, battery level indicator and drive wheel alignment indicator. The small diameter steering wheel features light, precise steering and is tilt adjustable for optimum comfort. The manual hydraulic controls are mounted next to the seat, and are within easy reach. Third and fourth function levers are available as options.